Check out Tobi's Callie Choker Tee Here's how to add an edge to a t-shirt and jeans combo. 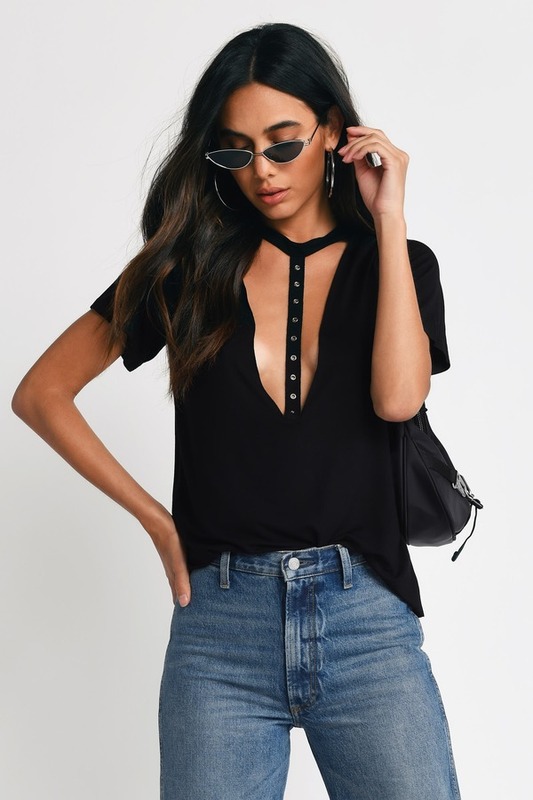 With a grommet strap detail from the choker neck to the tip of its deep v neckline, the White Callie Choker Tee is a plunging t-shirt with plenty of sass. Wear this choker shirt with high waisted jeans. Your next concert is calling. 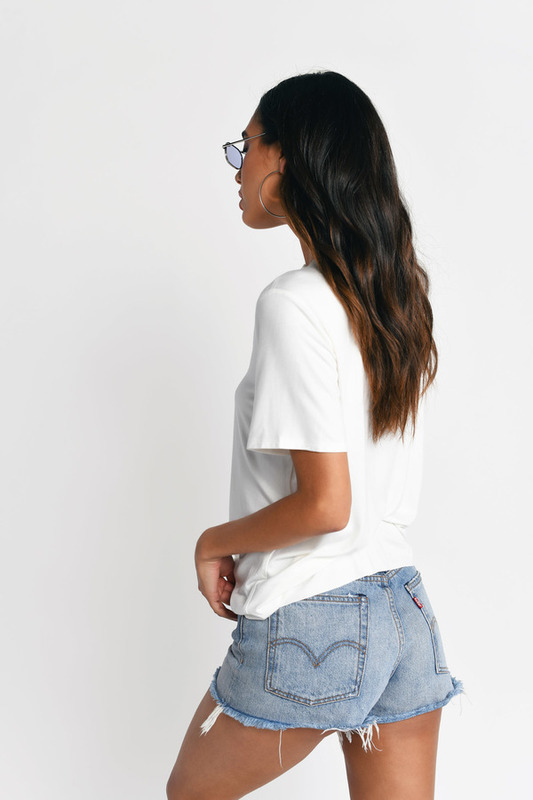 Here's how to add an edge to a t-shirt and jeans combo. 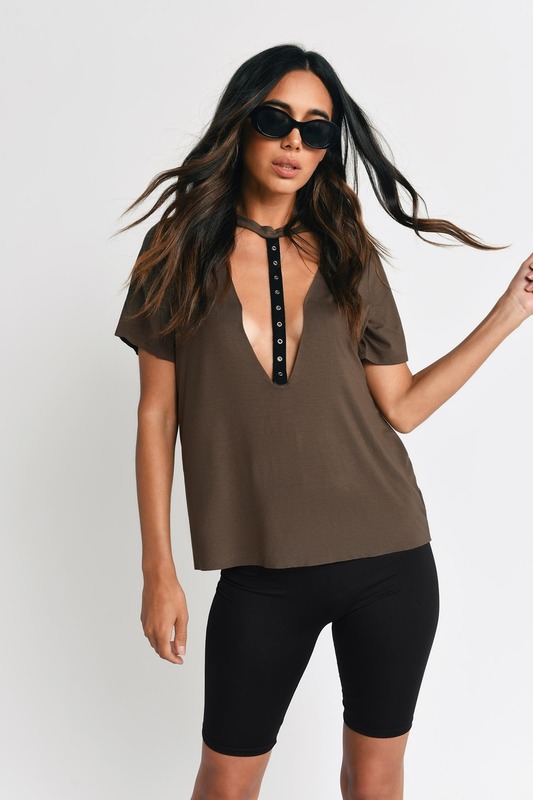 With a grommet strap detail from the choker neck to the tip of its deep v neckline, the Olive Callie Choker Tee is a plunging t-shirt with plenty of sass. Wear this choker shirt with high waisted jeans. Your next concert is calling. Here's how to add an edge to a t-shirt and jeans combo. 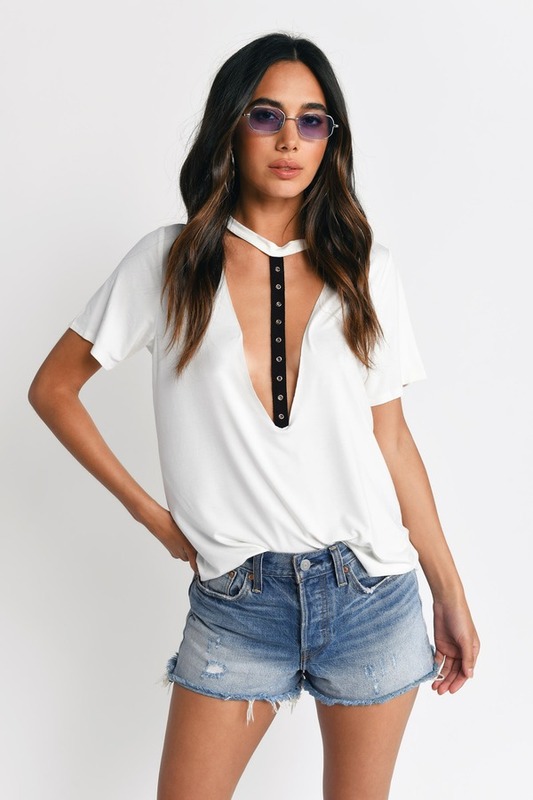 With a grommet strap detail from the choker neck to the tip of its deep v neckline, the White Callie Choker Tee is a plunging t-shirt with plenty of sass. Wear this choker shirt with high waisted jeans. Your next concert is calling. Here's how to add an edge to a t-shirt and jeans combo. 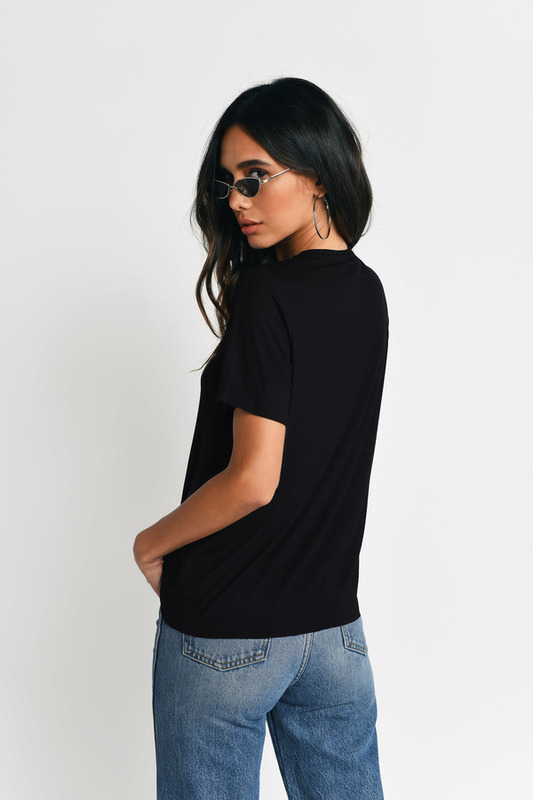 With a grommet strap detail from the choker neck to the tip of its deep v neckline, the Black Callie Choker Tee is a plunging t-shirt with plenty of sass. Wear this choker shirt with high waisted jeans. Your next concert is calling.